In over 35 years of limiting my practice to matrimonial and family law, I have found that it is not rare for family law matters to raise interstate issues — including whether New York or another state has jurisdiction over the parties and/or the issues. 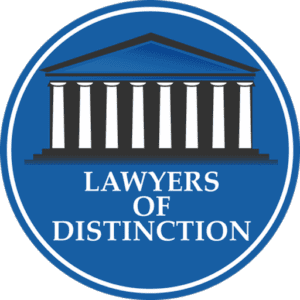 I represent clients who are from out of state and are confused by having to deal with New York laws and courts, as well as New Yorkers whose cases have left the jurisdiction. I am a Board Certified Family Law Trial Specialist* by the The National Board of Trial Advocacy, and my clients can trust me to offer skilled legal representation and practical guidance. Has Your Family Law Or Matrimonial Law Case Crossed State Lines? In what state should a divorce be filed and finalized? Where should a paternity petition be filed? Which court has jurisdiction over a child custody dispute? In which state should custody and support modifications occur? Which court has jurisdiction over your case depends on a number of factors. And, it could be to your benefit to contest jurisdiction. Paternity: Paternity jurisdiction is dependent upon where the father resides or resided; where the child was conceived; or where the father is served. While custody concerning the child might be litigated in New York, issues of paternity and/or support could be litigated elsewhere. Child custody: Custody is usually litigated in the "home state" of the child, or where the child has resided for the past six months. However, once custody has been litigated in New York, it continues to have jurisdiction as long as either the child or one of the parties remains in the state. Nonetheless, there are reasons why New York might decline jurisdiction. Child support: A parent who files for child support may attempt to force you to come to court in his or her state or in your state, depending on which state's laws are more beneficial. Child support laws vary widely from state to state. For example, people are required to support their children until age 21 in New York, and only until 18 in other jurisdictions. As is true in custody cases, once a child support order has been issued in New York, the state will continue to have jurisdiction over it as long as the child or one of the parties still lives here. Litigating jurisdictional issues can be used to a party's benefit if carefully handled. As an experienced and accomplished lawyer, I have successfully litigated these issues frequently over the years, with a significant portion of my practice being devoted to interstate work. When you are ready to talk to an attorney about interstate family law issues, please call 516-441-7432 or contact me online to schedule a consultation. I represent clients in Queens County, Nassau County, Suffolk County and the surrounding areas.